With Africa Gathering London this weekend, I wanted to share with you some thoughts on development in Southern Africa from Charlene Hewat CEO of Environment Africa. 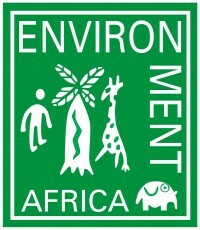 Environment Africa is a 100% African owned and operated NGO operating in Zimbabwe, Zambia, Mozambique and Malawi. I am truly humbled by the work they have done over the last 20 years. Our world, our planet is changing and the time has come for Zimbabwe thinkers and policy makers to think of new innovative, environmentally and sustainable ways of doing business, business is no longer based on ‘business as usual’. When public systems breakdown, governments often look to the private sector to save the day. In many developing countries such as India, a range of services that were in the public domain – housing, water, energy, transportation and communication have been or are being privatized. This may lead to greater efficiency, but even the most die-hard neo-classical economist understands that it can also spell environmental and social disasters. Public-private partnerships are a good way to divide responsibilities among different sectors of society. But they are fraught with danger, since they can become another way for the private sector to internalize benefits and externalize costs. If we are to reorient the economy’s path to sustainability, what we really need is a totally new sector, perhaps termed the Community Sector, which would combine public sector objectives with private sector strategies. We need to create businesses that have a heart. Environment Africa (EAfrica), a truly African non-for-profit, private voluntary organisation (PVO) has developed a concept called (PPCP) meaning Public, Private, and Community Partnerships. EAfrica believes that this is future for businesses in Africa and that this approach, PPCP, would contribute not only toward sustainable development but also to poverty alleviation. What is Corporate Social Responsibility then? The International Standards Body ISO, are developing a Social Responsibility guideline called ISO26000. This is a guide for all types of organisations to follow. The Standards Association of Zimbabwe (SAZ) is the ISO representatives here in Zimbabwe and has an ISO26000 working group, which organisations have been participating in. Environment Africa has played a key role in the development of this standard not only in Zimbabwe but Internationally, under the banner of SAZ and as an NGO representative from a developing country. EAfrica is also working closely with the Business Council For Sustainable Development Zimbabwe (BCSDZ), on CSR. The ISO26000 Standard Guidance document is due to be released this year. Social responsibility has continued to become a topical issue for all sectors, the private, the public and the government sectors as it is considered one of the key drivers to sustainable development. Social responsibility despite the name is not inclined to social development alone; it spans the operations of organizations internally all the way to the community or consumer level. Being socially responsible is considered a sustainable way of doing business and most often it boils down to trust. How can the various sectors trust each other? Can business trust communities? and can communities trust business to address their concerns in a manner that is beneficial for both. When looking at the corporate sector, it is important to examine the extent to which they are integrating social and environmental concerns throughout their business. Some of the social concerns currently being experienced in Zimbabwe, as is the case in developing countries, include poverty, HIV/ AIDS; gender inequality; limited access to health, sanitation and education facilities and food security. Its is evident that the developing countries have serious social concerns in comparison to the developed world and the question in the developing countries is how to include these concerns within the business frame work and still make a profit at the end of the day. CSR is more than just business, it is a part of your business and remember, it is not philanthropy or cheque book PR, it is about commitment, involvement and action. Get involved today and help rebuild our beautiful country Zimbabwe. I think social entrepreneurship is the answer to this dilemma. Social Entrepreneurship has social value-add and is also monetarily sustaining.